According to Indonesia’s national disaster agency, the death toll from the double disaster in Central Sulawesi has risen to 2,045, as of 10 October, with most of the fatalities in Palu. It is estimated that 1.5 million people have been affected. A team of UNICEF staff are on-site in affected areas, supporting the government’s response in the areas of water, sanitation and hygiene, child protection, health, nutrition and education. UNICEF is working with the Ministry of Social Affairs to identify separated and unaccompanied children, as well as support family reunification and tracing. 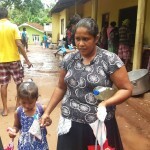 As of 8 October, a total of 61 children have been registered and recorded. Three children have been reunited with their families. 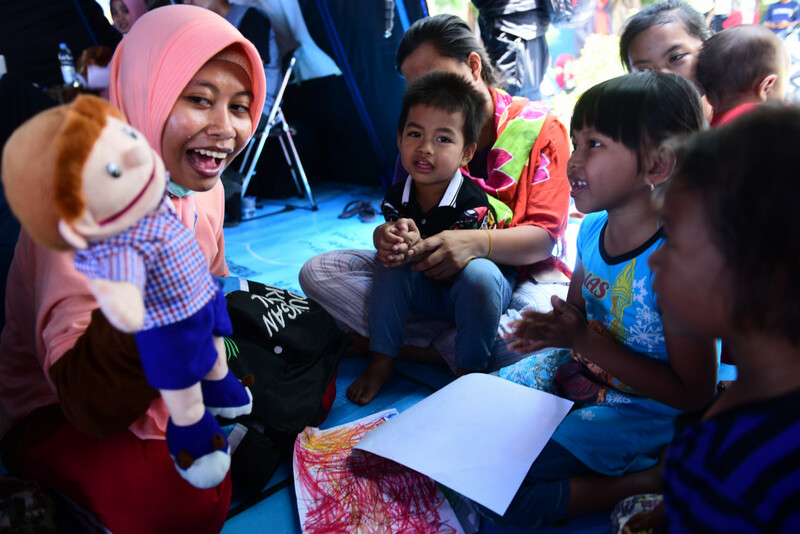 To help children cope, the team has also set up a child friendly space where social workers facilitate activities such as art programme, games and sports for children twice a day. Also, those social workers also care and protect, as well as provide psychosocial support to children in affected areas. 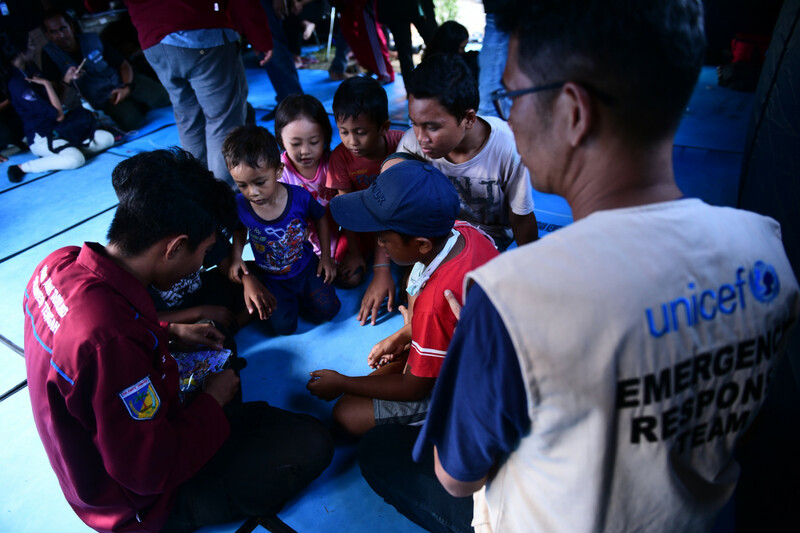 Meanwhile, several specialists in UNICEF from different aspect like Education in Emergency, Health and Child Survival and Development are deployed to the affected area, to provide support to children and their families. 47 UNICEF standard-school tents, hygiene kits and water purification supplies also sent to the affected area. Additional supplies like 450 tents (targeting 45,000 students), WASH supplies, 300 School-in-a-Box kits and early child education equipment are planned to arrive affected areas for the coming days and weeks. Without your support, our success on humanitarian assistance wouldn’t have been possible. Donation boxes are placed at Harbour City (Tsim Sha Tsui), Times Square (Causeway Bay) and Hollywood Plaza (Diamond Hill) information desk commences today till 11 November, and we need your generous donation to children in crises.